One in every four overdoses that occurs in the United States is a result of heroin and opioid usage, according to a new Centers for Disease Control and Prevention report, and the number of deaths due to these overdoses on are the rise. The number of drug overdose deaths in 2015 was twice that of 1999, increasing approximately 5.5 percent each year. The War Against Drugs in the U.S. The so-called “war against drugs” in the U.S. has been happening for decades. Recently, more attention has been drawn to heroin and opioid use because of the vast number of Americans that have become addicted to those substances. He wanted to draw attention to the fact that many doctors are prescribing opioids to help people with pain or other issues and, instead of it being helpful, most patients get hooked. 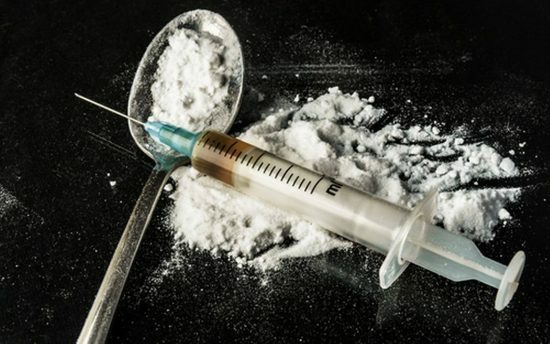 Once they are addicted to the medication they’ll seek out anything to get high, even if it means shooting heroin, and it is leading to thousands of deaths every year. Some Data Regarding Overdoses in the U.S.
Heroin could possibly lead to even more deaths in the years to come. CDC data has shown an increase in drug overdose deaths every single year since 1999. According to Newsweek, the data showed an increase in overdose deaths in men. Deaths increased from 8.2 deaths (per 100,000) in 1999 in to 20.8 deaths (per 100,000) in 2015. As for women, overdose deaths have increased from 3.9 deaths (per 100,000) to 11.8 deaths (per 100,000) in 2015. Some U.S. states had drug overdose death rates much higher than the national average. States that have been hit the hardest with drug overdoses include many of the places that were hit hard by the Recession, including West Virginia, Kentucky and Ohio. And, to many people’s surprise, the minorities aren’t being hit the hardest with the drug epidemic. In fact, more white males are dying of drug overdoses than anyone else. Possibly the scariest fact of them all is that 25 percent of all overdose deaths are caused by heroin (up from 8 percent in 1999). CDC officials estimate that about 1,000 people are admitted into emergency rooms from opioid overdoses every day. Heroin and opioid overdoses also cause about 140 deaths per day and cost the U.S. health care system practically $78.5 billion per year. So, what can we do to stop it? Is there anything? Well, there are a number of things we can do to lessen the amount of drug overdose deaths in the U.S. but it is a point of controversy for many people. Some would argue that the reform needs to happen in the hospitals where opioids are being prescribed like candy, while others think it would be best to provide a drug, like Narcan, to “bring someone back” from a drug overdose. In some states, like Pennsylvania, Narcan has become available to both EMTs and families of people struggling with addiction. It has not yet been long enough to see whether or not the miracle medication has helped decrease the number of overdose deaths in Pennsylvania but time will soon tell. Until we know exactly how to deal with drug overdose, however, we need to look out for one another. Drug addiction is a difficult thing for both addicts and family to deal with. If you or someone you know is struggling with drug addiction you can reach out to the National Helpline 1-800-662-HELP 24 hours a day, 365 days a year.